We're one step closer to eliminating that costly personal trainer altogether, and we couldn't be happier. Why risk form correction from an actual persons trained eye that for all intents and purposes, is subjective. Instead, why not rely on the HAL 9000 like all seeing Kinect eye of the Xbox 360 to use scientific measurements and comparisons to give you a visual representation on your TV of what your form should be, compared to how dismal it actually is. 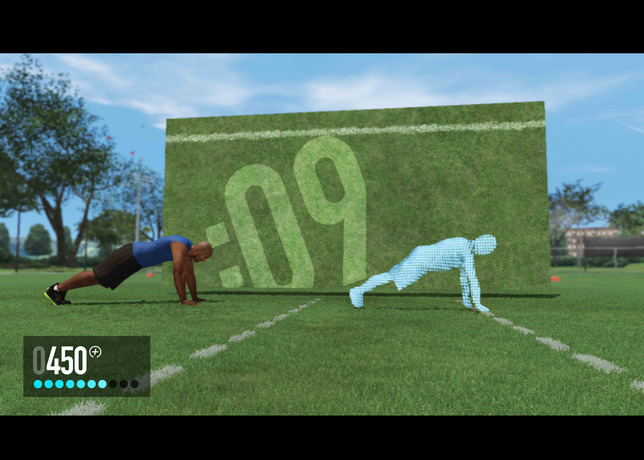 We're hoping that this blends the fitness x video games holy grail that the Wii failed to fully deliver, and with Nike on board, we're pretty certain it will. And being that it will be fully interactive, and far, far cheaper than Insanity or P90X, we think this just might be the recipe to win the home workout wars. Hit the jump to see just what it will look like and how it will work. Out this holiday season.